HISSOC, or the History and Strategic Affairs Society, is one of the oldest CCAs in RI, having been founded over a century ago at about the same time as when this school emerged on Singapore’s map. Every batch is about 60 students strong, and students participate in Model United Nations (MUNs for short) both locally and internationally. This year, we are sending students to Harvard Model Congress Asia (HMCA), which will be held in the University of Hong Kong from the 9th to the 12th of January. This event draws high school students from all over Asia. 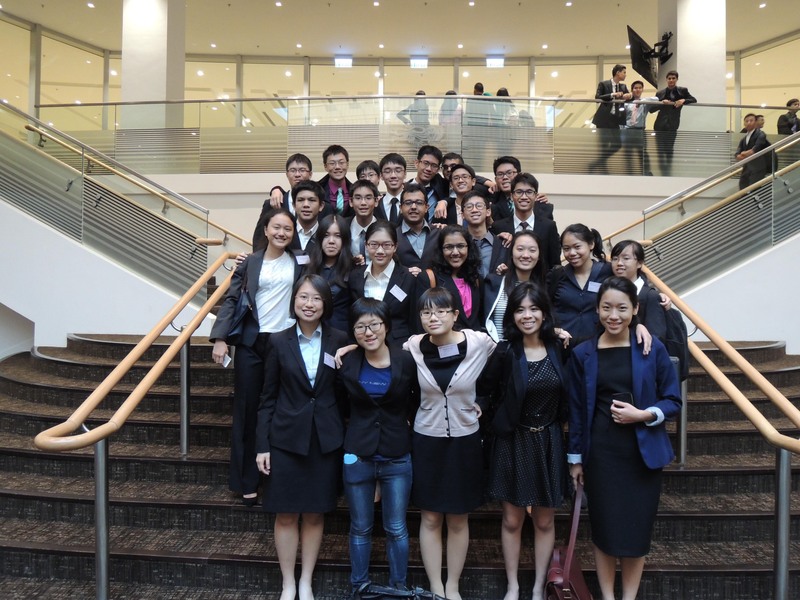 HISSOC at HMCA2014 in Hong Kong. The delegation won 13 awards in total. This is but a glimpse of the number of opportunities you will get in HISSOC. For the 2014 calendar, students are already involved in competitions such as NTUMUN, organized yearly by the eponymous institution. The CCA’s main objective is to serve as a platform for members to develop their interest in politics, current affairs as well as diplomacy. 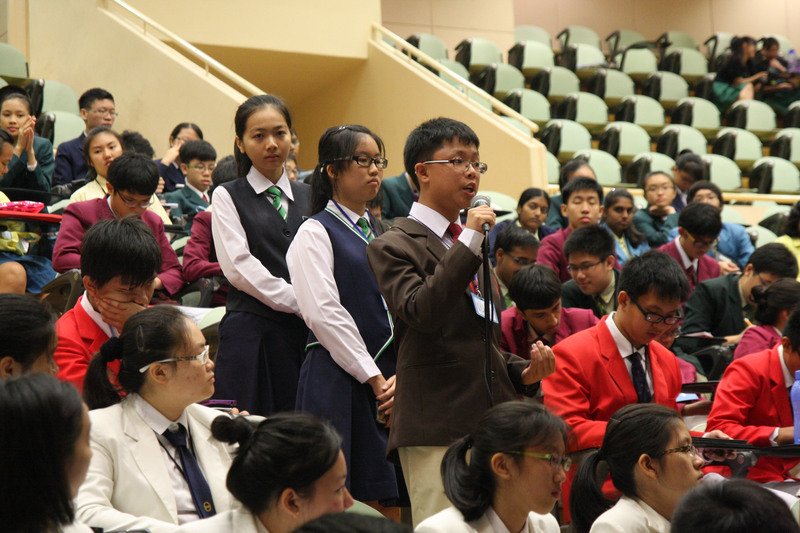 History as a subject is rather less commonly explored in this CCA due to the nature of the competitions that other institutions offer (with most counterparts in other schools placing their focus on current affairs, with names like Young Diplomats Society – we, however, keep our name as it is part of the heritage this organization is proud of). That is not to say, however, that the significance of History with a capital H in this CCA is relegated. We organize a History and Current Affairs quiz yearly, inviting teams from secondary schools to take part, and members in general take an active interest in events that have shaped the world in the past. We will likely be collaborating with the Preservation of National Monuments Board (PMB) for Monument Open House 2014! There is no admission criteria for HISSOC – instead, all this CCA demands from its members is a willingness to take the chances that this CCA offers them, and to assist the CCA in turn by contributing to the creation and organization of events. What events? 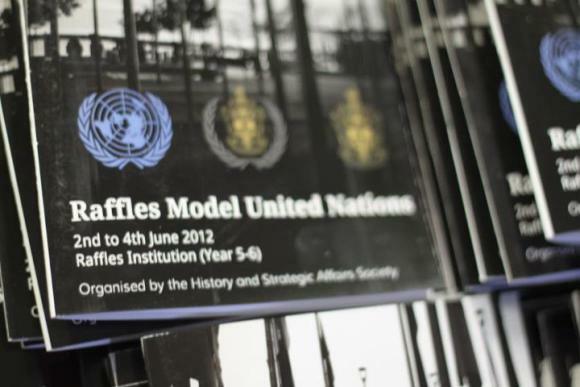 To answer this rhetorical question, there is one answer – RMUN, or Raffles Model United Nations. Our flagship event is generally recognized by most secondary schools to be one of the most prestigious MUNs within the local circuit. The CCA manages everything: deciding debate topics, themes, budget, et cetera. It’s a painstaking, entirely student-run process, and all members are taken on board to help make it a success. HISSOC’s alumni is pretty impressive – Jarrett Huang, HISSOC’s president in 2011, is now a President’s Scholar studying in Cambridge, and many members of similar (and diverse) portfolios have streamed through this CCA. 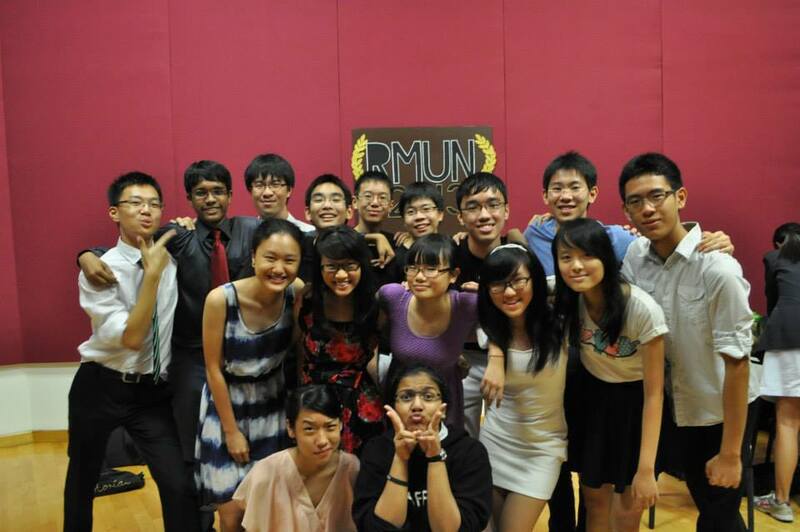 For those cynical about MUN and the meaning in this CCA in general, my advice is to just take what you do seriously and as an intellectual exercise. You’ll be surprised at the number of soft skills you pick up just by interacting with delegates from other schools or by planning an event as large as RMUN. If you have a passion for diplomacy, history or current affairs, and would like to be actively participating in events revolving around the aforementioned areas of interest organized both locally and internationally, join HISSOC. We promise fulfilling times ahead.